Senate Republicans remain undecided about whether to push for additional votes on repealing the federal healthcare overhaul before the November election, according to their leader. 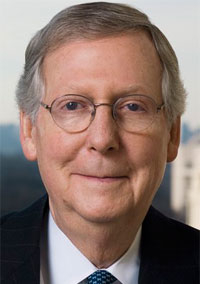 Senate Minority Leader Mitch McConnell, of Kentucky, said at a Friday news conference that pushing for such a vote is “still under discussion” among Republican senators. The Senate voted Feb. 1 to reject repeal 47-51, along party lines. Some conservatives have argued further votes might lead politically vulnerable Democrats to begin switching sides as the election approaches. Others have argued that repeated healthcare votes will fail but take the focus off areas of greater vulnerability for President Barack Obama. McConnell also indicated that if Republicans succeed in repealing the law—whether this year or next year—they would replace it with a more modest set of changes to the healthcare system, such as allowing interstate insurance purchases and enacting an overhaul of medical liability law. “What we did was take a meat ax to the best healthcare system in the world when we should have used a scalpel,” he said. Among the primary reasons for repealing the Patient Protection and Affordable Care Act, McConnell said, are the cuts it includes for providers.